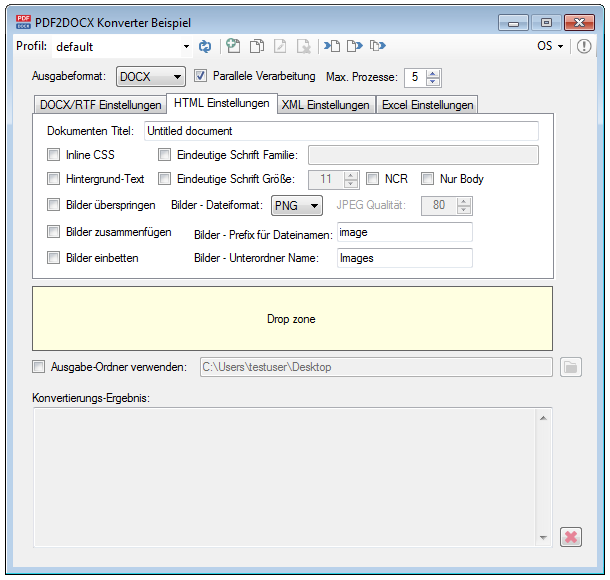 PDF2DOCX-CL is a command line application based on our PDF2DOCX converter component and serves to convert PDF’s to DOCX, RTF, HTML, XML, TXT and XLS. 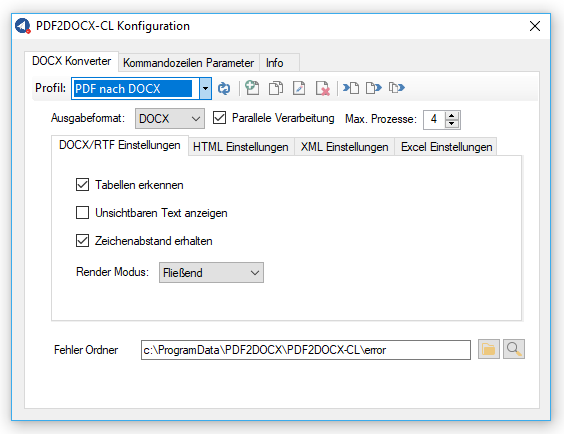 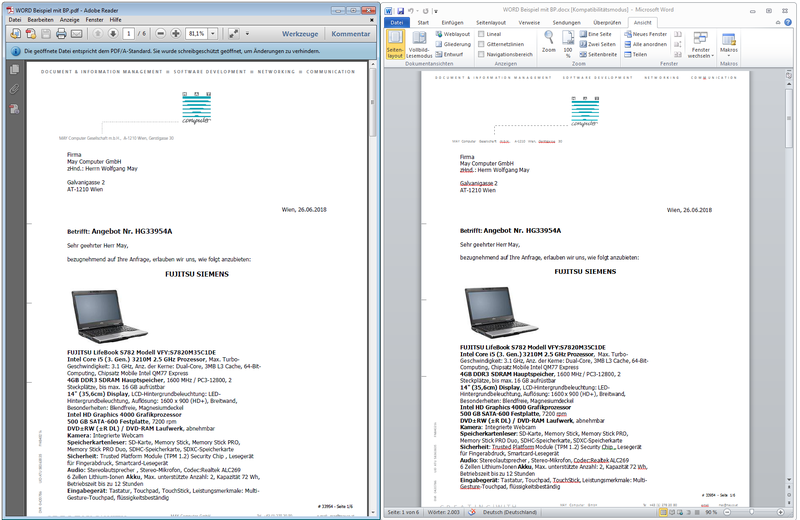 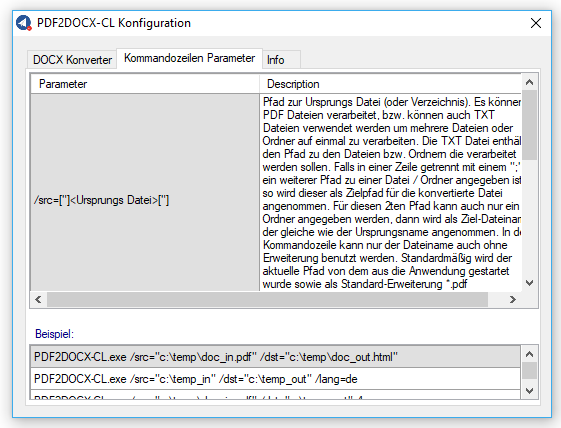 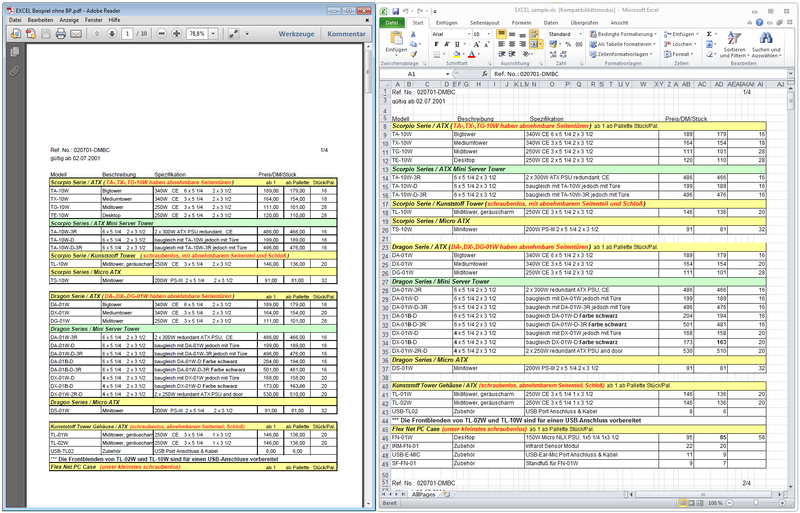 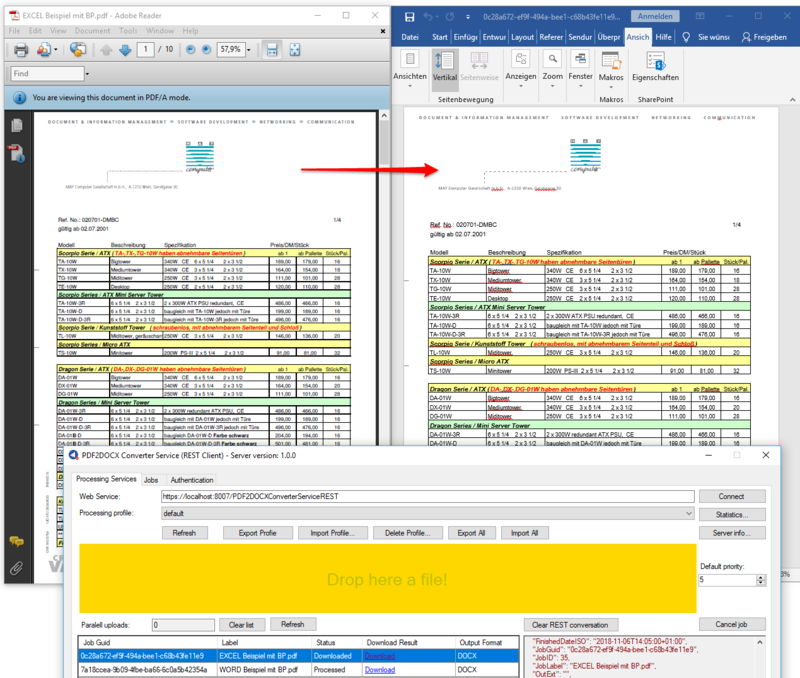 Generated – MS-Word – DOCX, RTF, HTML, XML, TXT and MS-Excel – XLS files. 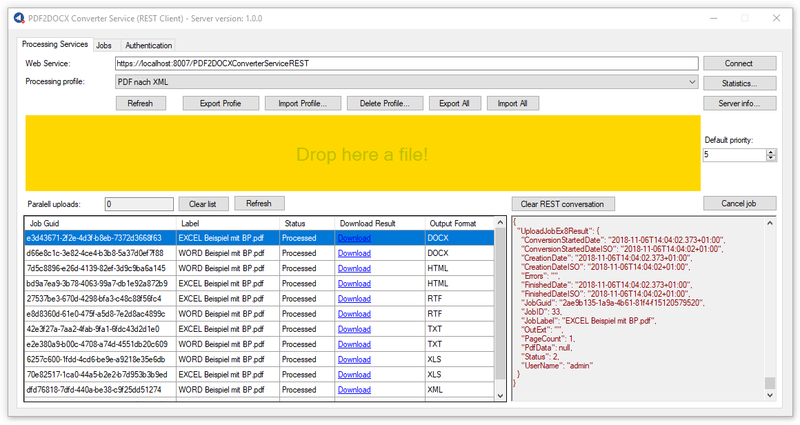 Assignment of converter parameters via profiles (XML files) – Profile: New, Copy, Change Name, Delete, Export, Import. 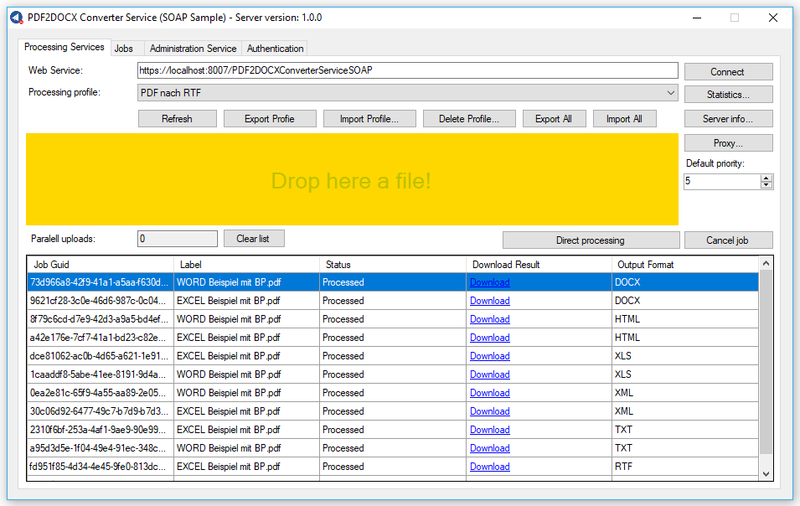 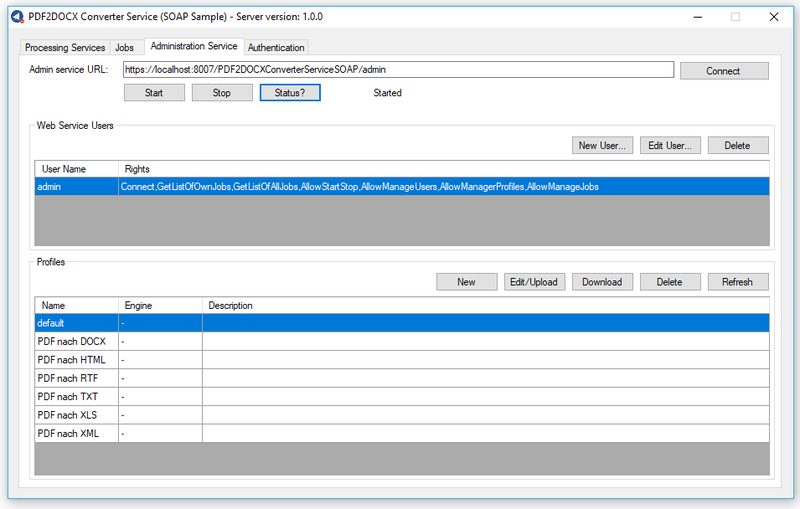 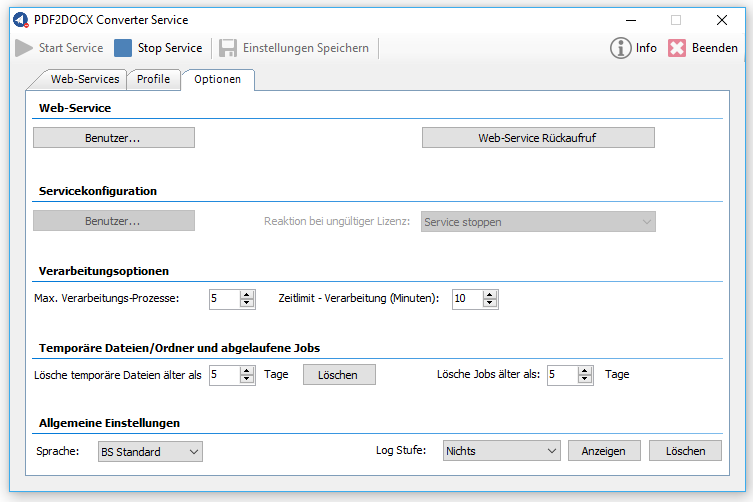 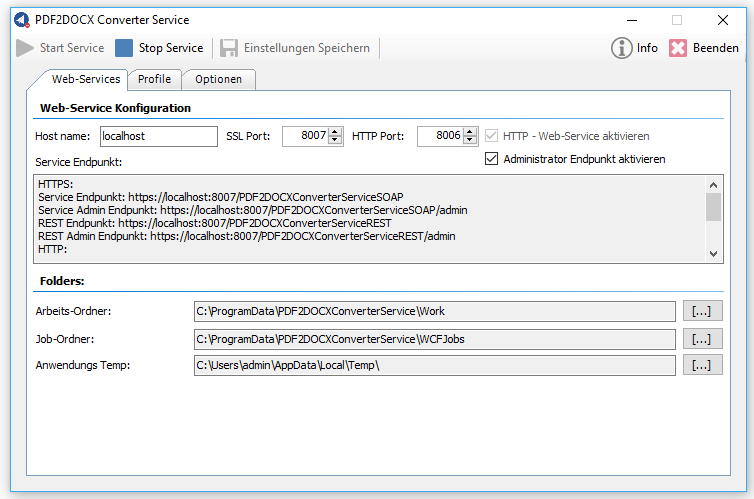 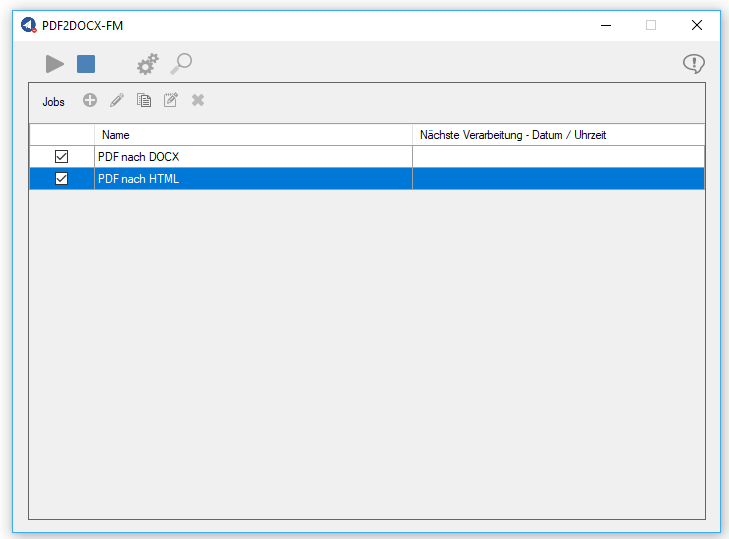 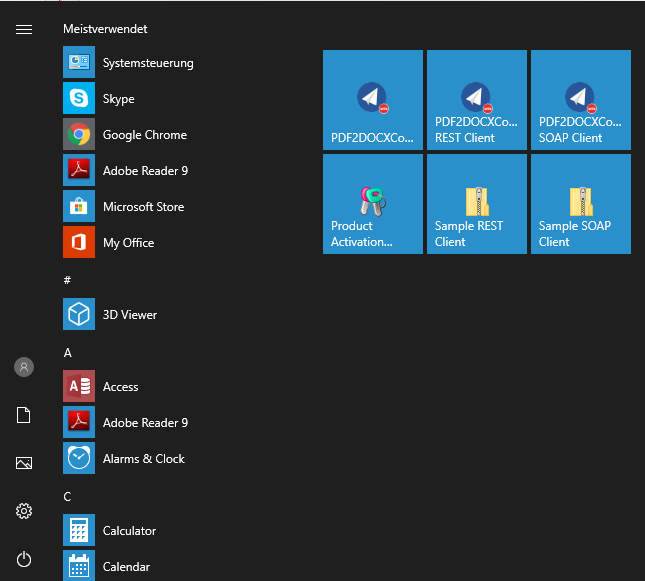 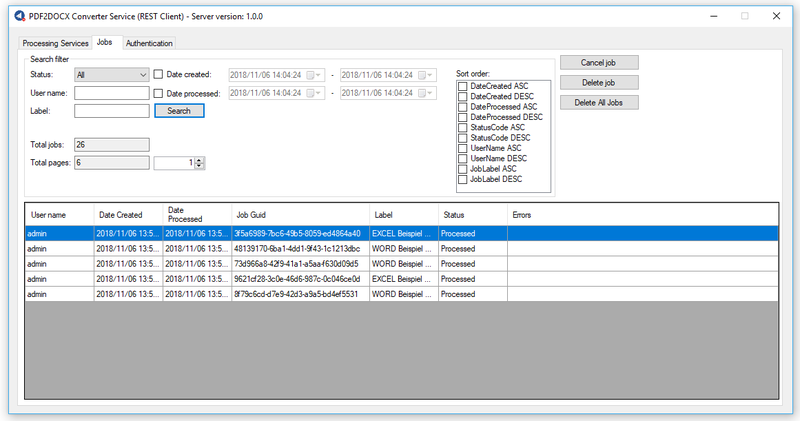 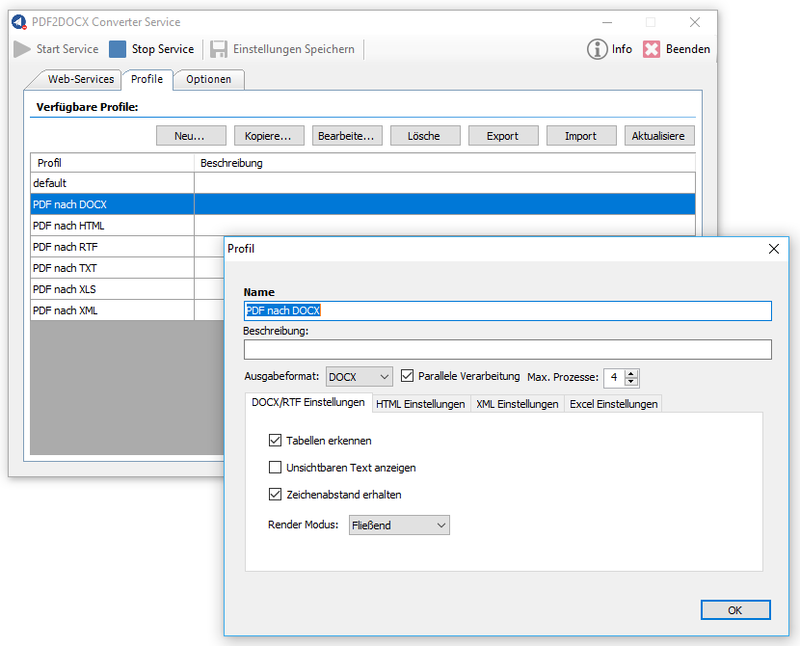 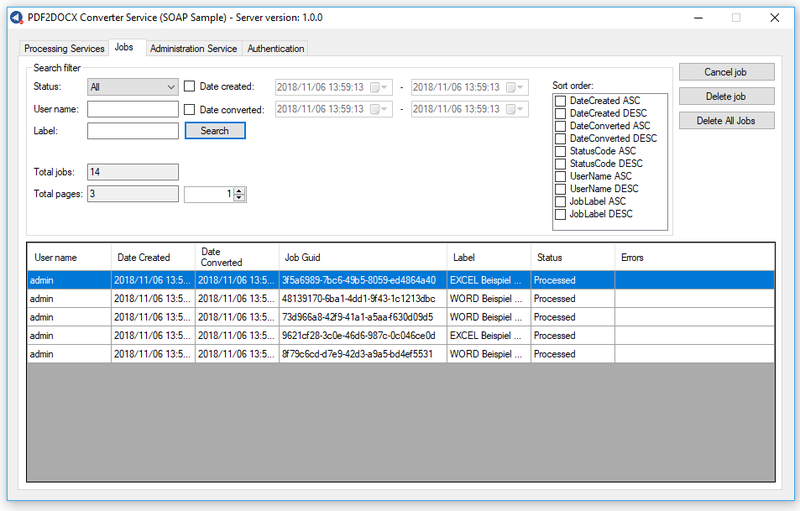 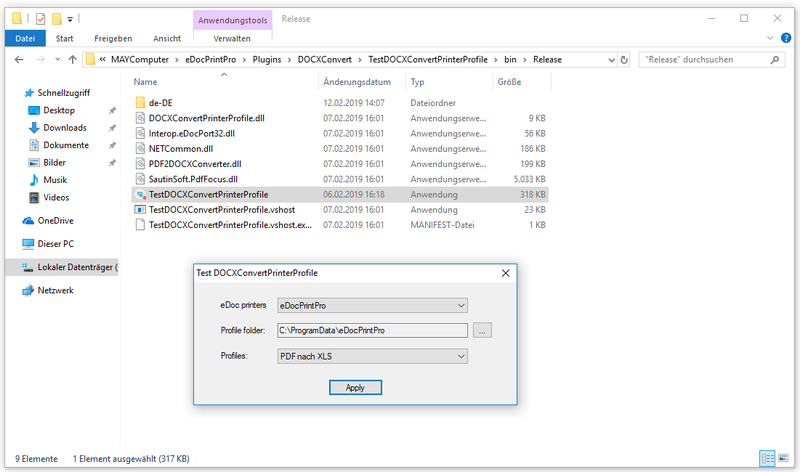 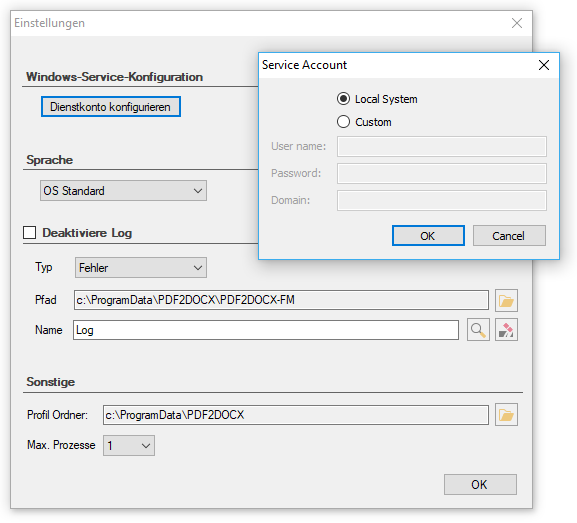 Based on the PDF to DOCX (PDF2DOCX) component, PDF2DOCX-FM is now available as a Windows service with folder monitoring. 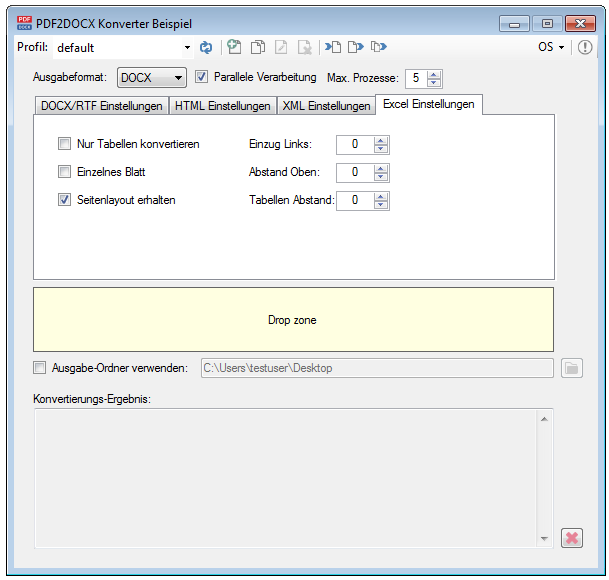 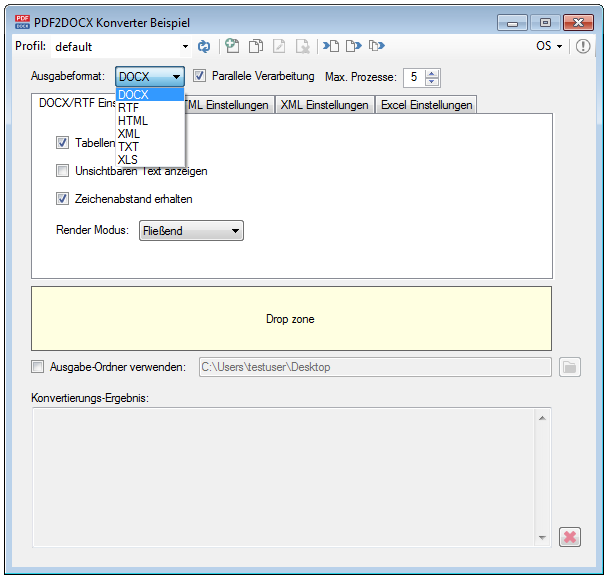 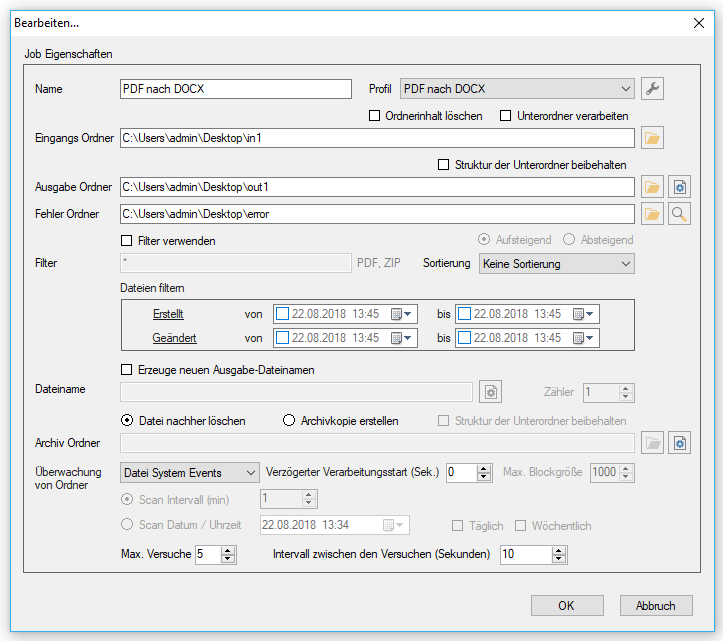 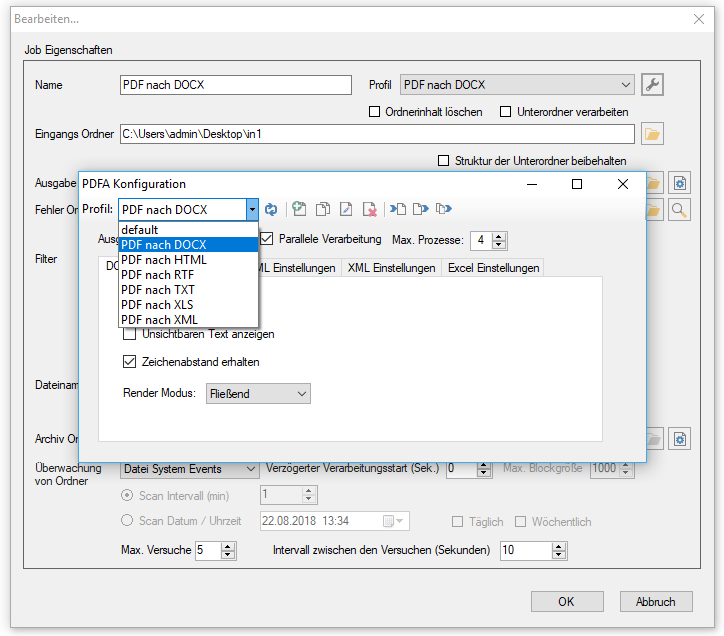 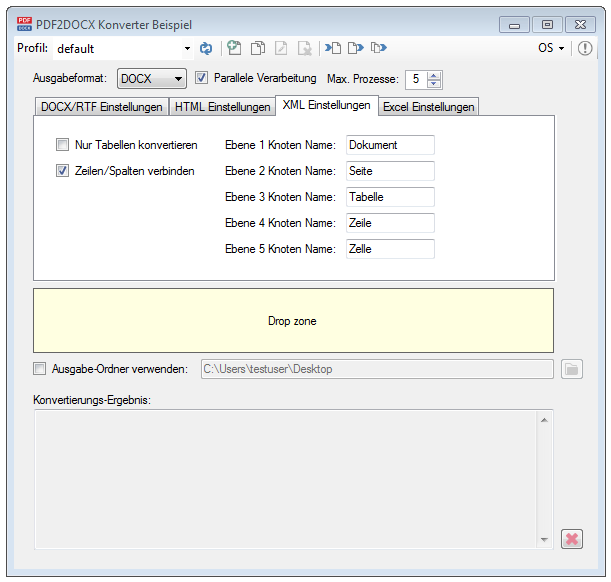 IN folders are monitored and all newly added PDFs are processed and the result is stored in the assigned outbox folder.